Today I was inspired when traveling through Walla Walla Washington to make tomorrows tasting. I picked up some sweet onions from a small stand alongside the road. They were just picked a couple of days ago. 1. Heat a grill on high. 2. Season the onions with the olive oil and the Greek Taverna Blend. 3. 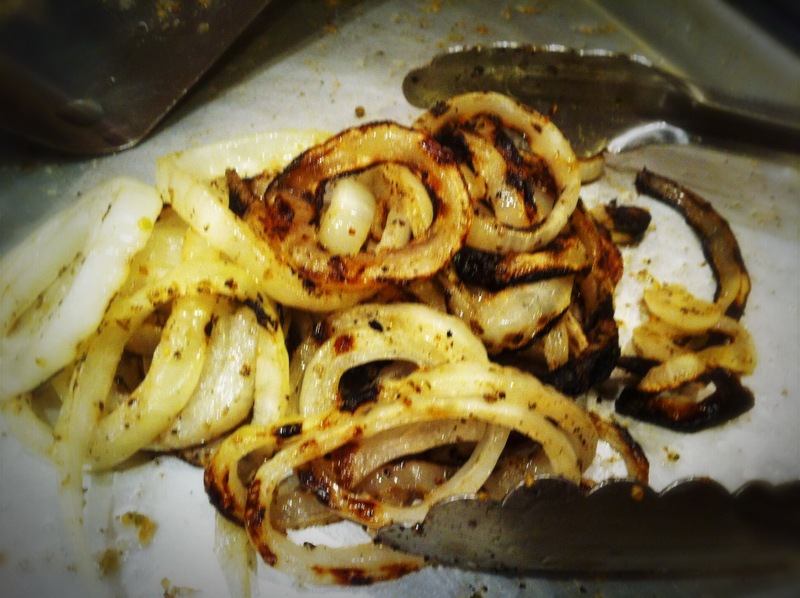 Grill the onions until slightly charred. 4. Allow the onions to cool. 5. While the onions are cooling combine the remaining ingredients in a bowl and toss well. 6. When the onions are cool, toss in the tomato mixture and mix well. * This would be great served over steak, chicken, or fish.